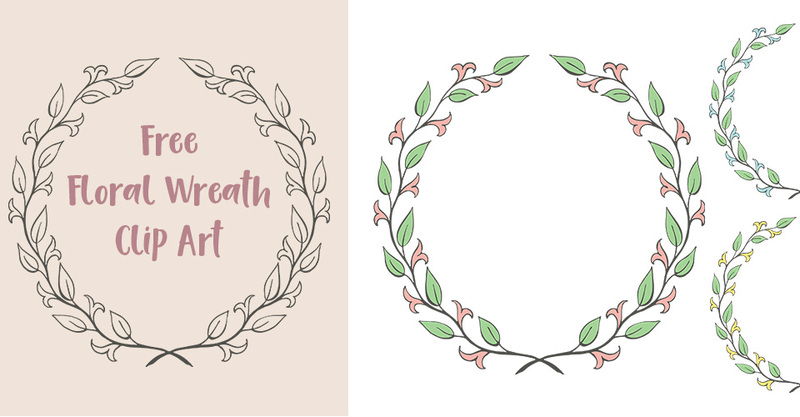 Enjoy this little freebie floral wreath clip art we’ve sourced for you this week. There are four versions, one with just the outline and three with pink, yellow and light blue flower accents. There’s a stock vector and PNG clipart versions you can download below.